Easter Monday is a statutory public holiday in New Zealand. It is on the Monday after Easter Sunday, in which Christians remember Jesus Christ's resurrection. Easter Monday is a public holiday. It is a day off for the general population, and schools and most businesses are closed. 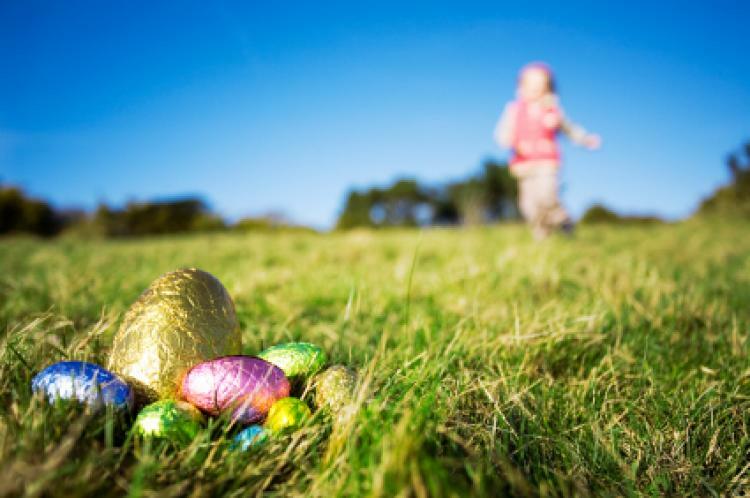 Easter egg hunts - a popular activity for kids. In New Zealand, Easter Monday is the last day of a four-day weekend, which includes Good Friday. Many people return from short trips out of town, while others relax at home. Many families take part in an Easter egg hunt and other Easter related activities. Chocolate eggs are especially popular to eat. Some churches hold special Easter Monday services. Easter Monday is a public holiday in New Zealand so schools, government offices and many businesses are closed. Easter Monday, the day after Jesus' resurrection, used to be regarded as unlucky and was therefore known as Black Monday. These days it is a day off for many countries, including New Zealand. The Easter date depends on the ecclesiastical approximation of the March equinox. For people with strong Christian beliefs, the Cross, on which Jesus was crucified, and the Resurrection are important symbols of the period around Easter. Other symbols of Easter include real eggs or eggs manufactured from a range of materials, nests, lambs and rabbits or hares. Sometimes these symbols are combined, for example, in candy models of rabbits with nests full of eggs. Eggs, rabbits, hares and young animals are thought to represent the re-birth and return to fertility of nature in the spring. Read more about Easter Monday.